ZHANGJIAGANG, CHINA, June 13, 2018 /24-7PressRelease/ -- Benk Machine is proud to offer the fastest turnarounds in the extrusion machine market. 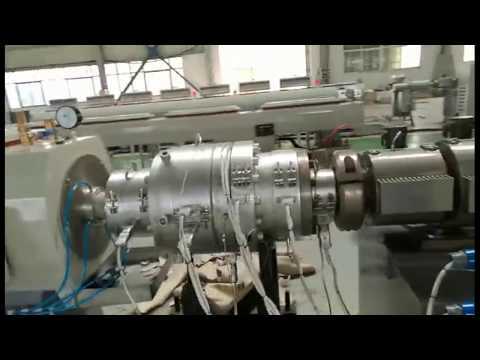 Due to the environmental protection regulations imposed by the Chinese government, there have been many delays in getting parts for extrusion machines. However, Benk Machine has the advantage of having regular stocks for parts. This enables Benk to produce 50-200mm PVC pipe extrusion machines for Philippine clients in just 30 days, as Philippines' voltage is special which is 220V- three phases. A spokesperson for Benk Machine commented, "We always stock some regular main parts in our warehouse. This enables us to deliver quickly even when others cannot. We never compromise on speed or quality." The spokesperson also mentioned, "In June, Benk's salespersons and engineers will go to the Philippines and install two PVC pipe production lines for our clients. If Philippines clients have any issues with their PVC pipe making machine, feel free to contact us. We're always available and will solve the problem. Our clients always have our full support." Benk Machine is a manufacturer of plastic extrusion machines, plastic pipe extrusion lines, and plastic recycling machines. They have an in-house R&D technology team with over 10 years of experience. All products are customized for clients and the company's engineers install the extruders or extrusion lines at reasonable rates. The company also provides training for clients so they can make the best use of its PVC pipe extrusion machine and other products. You can learn more about Benk Machine at www.benkpm.com.